Few occasions are celebrated as joyfully as weddings in Barbados. 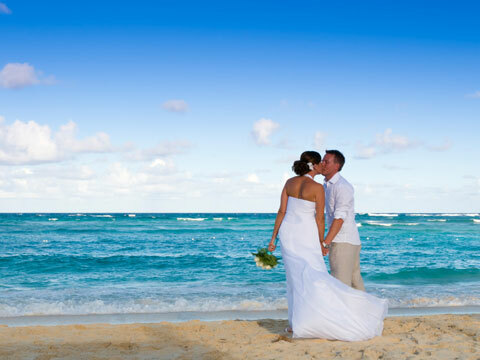 With its breathtaking scenery, stunning venues and luxurious oceanfront villas, Barbados provides the ultimate setting for your destination wedding. The Concierge Team at Barbados Sotheby's International Realty® welcomes wedding parties with impeccable personalized service. We cater to your every need, working with you to plan the perfect event for you and your guests in one of the world's most magnificent settings. Whether you desire an intimate beachside gathering or a grand reception, your wedding will be an unforgettable celebration. Our professional wedding planners will guide you through ceremony and reception details, menu selections and floral and décor options, taking the time to listen to your desires and preferences to create a wedding day that truly reflects who you are as a couple. In addition, we will secure all necessary legal documentation, and we are pleased to offer recommendations for the island's finest clergy and civil servants, photographers and entertainers. For both bridal party and guest accommodation, we offer a distinguished array of properties including stunning villas, private homes and beachfront residences. We can also plan a customized itinerary, including island tours, dinner parties, sporting activities and spa treatments. Orchestrating the perfect wedding day requires a great deal of care and planning, and we're looking forward to helping you ensure every detail is just right. Contact us today to begin planning your perfect wedding day.